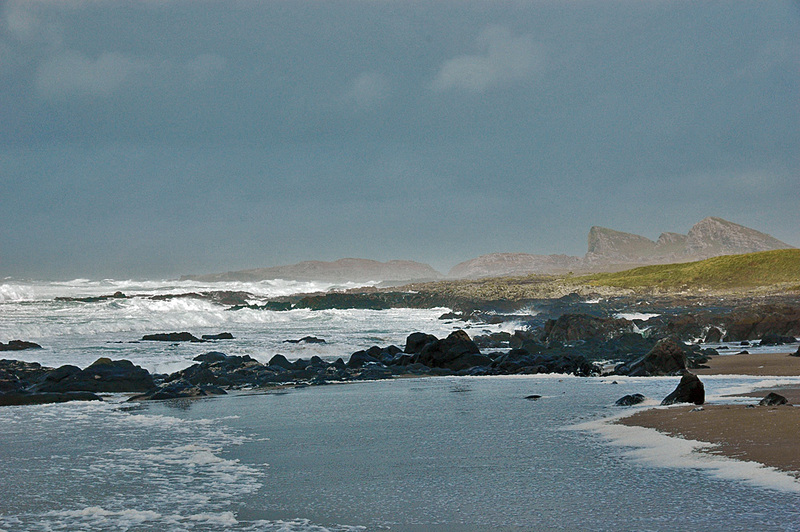 A view of Saligo Bay on a stormy day, waves rolling in all the way to the top of the beach. Dark clouds above make it look even more dramatic, despite the sun breaking through a gap in the clouds illuminating the ‘Opera House Rocks’ in the distance. This entry was posted in Beaches, Cloudy Weather, Landscape, Repost, Sunny Weather and tagged Islay, Opera House Rocks / Sleeping Giant, Saligo Bay by Armin Grewe. Bookmark the permalink.